Commencement 2016: roaring with Lyon pride. More than 600 graduates and certificate recipients. One amphitheater full of family, friends, faculty, and staff. A momentous weekend of celebration and camaraderie. Moving forward and reflecting back. Inspiration to listen, join, and lead. An invitation to dare to make the make the world a better, brighter place. There is no way to do this without you. We need psychologists, chemists, philosophers, musicians, poets, librarians, programmers. We need all of you. We need to disrupt and rebuild this world. Relive Commencement 2016! 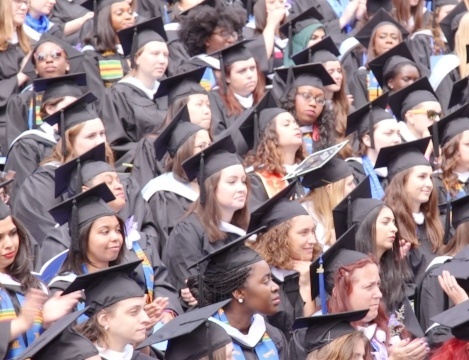 Download the full length video of the College’s 179th commencement.